Spanish is the second most spoken language in the world, far behind Chinese in first and barely snuffing out English in third. With so many native speakers scattered all over the globe, accents and dialects run rampant, making Spanish sometimes tricky but mostly fascinating. Each region’s dialect offers a glimpse into the culture and lifestyle of its people, and Costa Rica’s is no exception. Let’s start with the basics. A tico – or the feminine tica – is the colloquial term for a Costa Rican native. 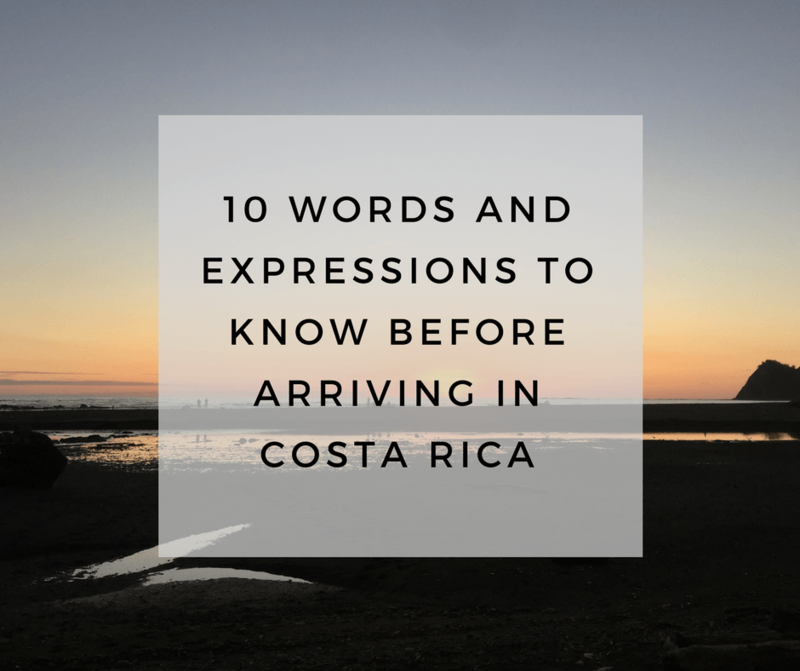 Costa Ricans themselves and foreigners alike use this term. 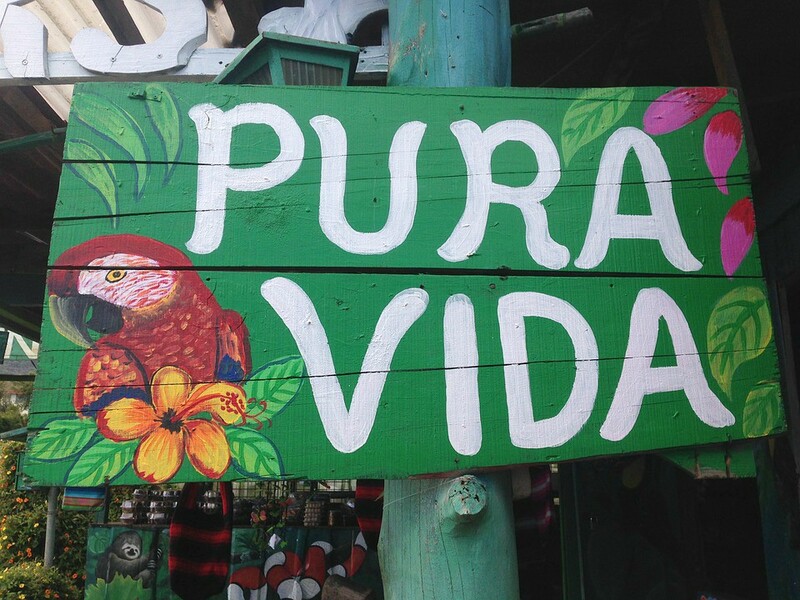 Literally translated to “pure life,” pura vida encompasses the relaxed and carefree Costa Rican lifestyle that so many have come to know and love. This phrase is thrown around often in everyday conversation and can be used as a greeting, response, thank you, goodbye, and more. Though it’s used casually, there’s no doubt that Costa Ricans truly take pura vida to heart, something you’ll quickly grow accustomed to in Costa Rica. 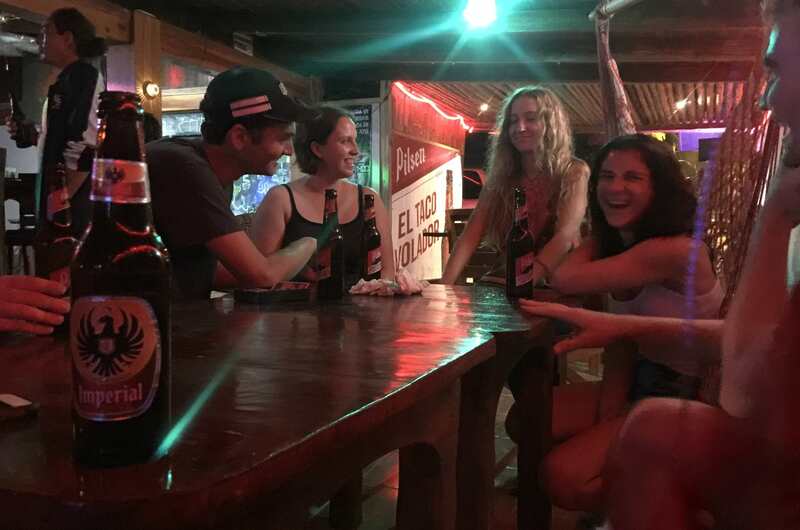 Mae is the Costa Rican equivalent of “dude.” It’s heard most frequently among good friends – especially among boys and men – but can also be used when speaking to a stranger or acquaintance. Pura vida, mae. Most of us are familiar with this feeling: waking up the morning after a fun night out at the bars, one too many glasses of wine, or beer at the beach all day, head pounding, mouth dry. Literally translated to “glue,” a goma is the ever-dreaded hangover that sometimes sticks around a little longer than you’d like. Pronounced twa-nees, the origin of this word is unclear. Meaning “sweet,” “cool,” “nice,” “awesome,” or anything of the like, some say that it stems from the English phrase, “too nice.” Wherever it comes from, locals will think you’re pretty tuanis if you make this word part of your regular vocabulary. This is a simple and friendly way to announce your arrival to somebody’s house. The term originates in Nicoya, Guanacaste, where people would announce themselves by saying, “Nuestra Señorita (Señora) la Virgen de Guadalupe,” meaning, “Our Lady the Virgin of Guadalupe.” Eventually shortened to just upe, this is commonly used when making yourself known or checking to see if somebody’s home. Say hello to your new favorite breakfast (and lunch and dinner) dish! 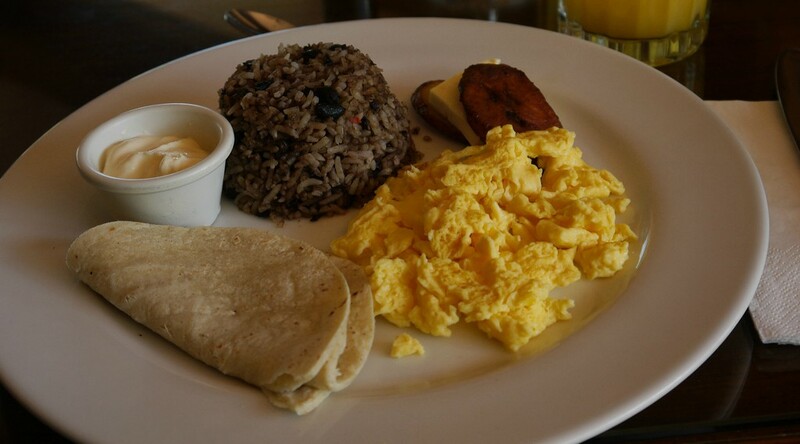 Gallo pinto, literally translated to “spotted rooster,” is recognized as the typical breakfast in Costa Rica and most likely takes its name from the color of the rice and beans resembling that of a spotted rooster. A tasty and filling mix of rice and beans, commonly prepared with onions, peppers, garlic, and the local Lizano sauce, typically will come with two eggs made to order, tortilla, queso fresco, sour cream, fried plantains, and a steaming cup of coffee. For around $5 a plate and a full belly for hours, you really can’t go wrong. Similar to gallo pinto, casado is a traditional Costa Rican lunch or dinner dish. Translated to “marriage,” this dish is a union of rice, beans, meat or fish, and greens, and comes with a variety sides, depending on where you order it or how you decide to make it. Typical sides include fried plantains, fries, cheese, a cooked vegetable or potato medley known as picadillo, tortilla, avocado, and more. Healthy, hearty, and delicious, it’s no mystery why this is a staple in the tico diet. Costa Rica’s local currency, the colón, is pure art, in my humble opinion. The 1000 colones bill, which is currently worth just under 2.00 USD, has on one side a portrait of Braulio Carrillo Colina, one of Costa Rica’s Heads of State in the early-to-mid 1800s. 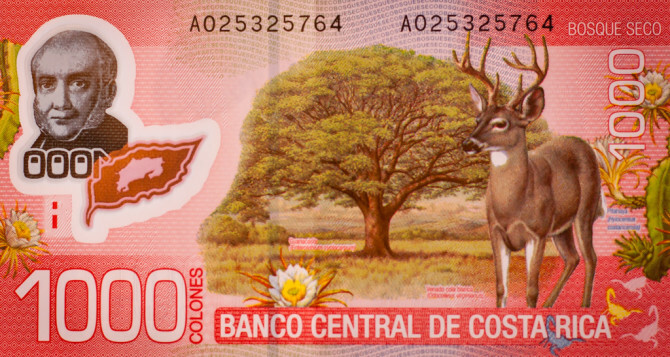 On the other side, the bill has the Guanacaste tree and a white-tailed deer, among other things. The bill is also the color red, or rojo. So, a 1000 colones bill can also be called un rojo. Looking for somewhere to find a good plate of gallo pinto or casado? Look no further. Found in big cities and small villages alike, sodas are the typical family-owned restaurants that serve local, fresh, and delicious dishes at reasonable prices. Think of your favorite mom-and-pop restaurant from your town, add tico flavors, and boom, you’ve found your new favorite spot.